Etsy may be an online marketplace first and foremost, but the company has long had a "shop local" feature to let you find craftspeople and products made near you. Strangely, though, this feature only existed on the desktop -- Etsy's mobile app didn't have its local feature, despite the fact that your smartphone pretty much always knows where you are. 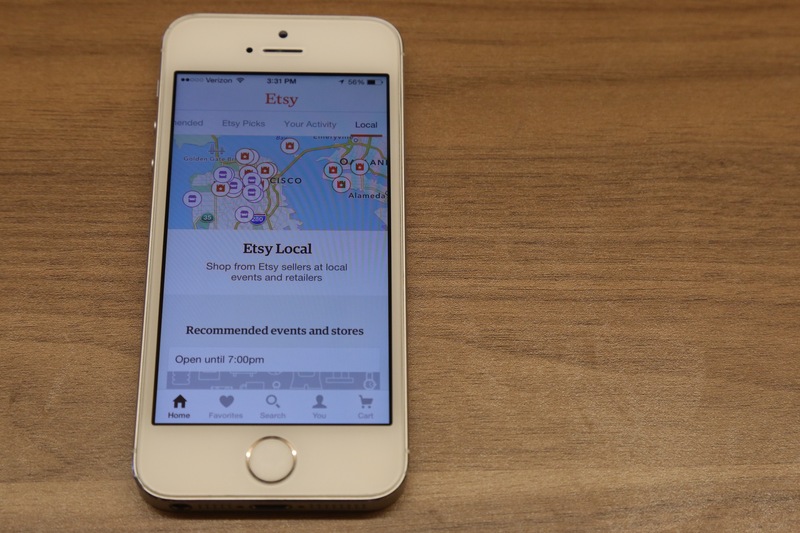 The situation has now been corrected: Etsy Local is now included in the company's iOS and Android app. Users can now find items and sellers near them, whether they're selling at a pop-up shop or through a local retailer, and Etsy sellers can add real-life locations to find their work. The app will also automatically make recommendations for retailers and items near you worth checking out; it's all based on your Etsy history, including what shops and specific you've favorited while using the site. And if you'd rather see local goods in areas that outside of your current city, you can just use the built-in map to explore any other location you choose. The company may still not want you selling spells, but you can find other local goods in person by updating to the new app -- it's available now in iTunes and Google Play.